If you're a frequent drinker of coffee, soft drinks, fruit juice or red wine, then over the years your teeth may have become stained. Thankfully, the dentistry product range now includes ways to rid your teeth of nasty stains, and the White Glo toothpaste might be just what you are looking for. 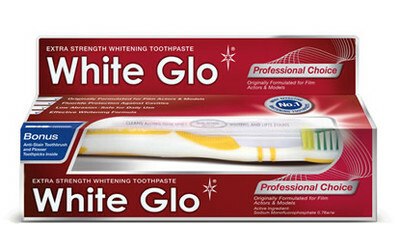 White Glo are giving away packs of their product to try which includes Australia's #1 whitening toothpaste, a White Glo anti stain toothbrush and even a pack of flexible flossing toothpicks. This is a great freeibe, but you have to get in quickly, as samples are limited to 50 Australians per day, so sign up first thing one morning, to get your hands on this free product. To get your hands on this sample, click here to sign up.